Devlin has been consumed all of his life with the need to bring revenge against the man that murdered his father right in front of his own eyes. And even though he has been able to ruin him financially so far, when he finds out that Virginia is his niece, he is determined to make sure that the revenge is even sweeter and uses her for his own uses against her uncle, but there will come a time when he will have to choose between the revenge and hatred he has felt all of these years or to claim Virginia and the love and joy that being with her offers him. Virginia Hughes, grew up knowing how to run a tobacco plantation, and when her parents died she was devastated, and was forced to attend a Girls School, one where she feels more along than ever, for she is far different than the other girls. Virginia has a passionate nature with everything in her life. But inside her heart is tender, and when she comes into the hands of the rogue Devlin O Neill, she knows that he could easily steal his way into her heart and break it, however she also knows that she may be the only one to break through the ice shell that has surrounded him for so long. The Prize is the sixth installment in the de Warrene Dynasty series that Brenda Joyce has created. I have recently fallen in love with this author and her stories, and The Prize was no different, and I fell in love with the characters from the very beginning. Both were endearing and so likable throughout the whole of the story. There were parts of the story where I felt that Devlin was a bit too hard of a character, however the emotions that were portrayed by the characters felt so vividly real, and made the story come alive even more. The Prize is such a emotionally charged story that will pull at your heartstrings with every chapter. 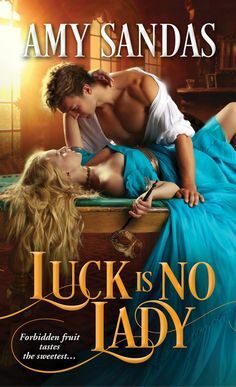 I am very much looking forward to reading the rest of this series, and The Prize definitely was filled with everything that I just adore in a historical romance….passion, adventure, intrigue and a powerful love….FANTASTICALLY WRITTEN!!! “I don’t think so,” Virginia said boldly, barely able to believe her courage, and she moved into his armes. “We seal it with a kiss,” She turned up her face and closed her eyes, the last things she saw being his silver gaze, suddenly hot, suddenly bright. He wanted this, too. And then she moved her mouth firmly over his. Brenda Joyce is the bestselling author of forty-one novels and five novellas. She has won many awards, and her debut novel, Innocent Fire, won a Best Western Romance award. She has also won the highly coveted Best Historical Romance award for Splendor and Two Lifetime Achievement Awards from Romantic Times BOOKreviews. There are over 14 million copies of her novels in print and she is published in over a dozen foreign countries.